Think about it? How fast are you going through your Thinkers Treats? 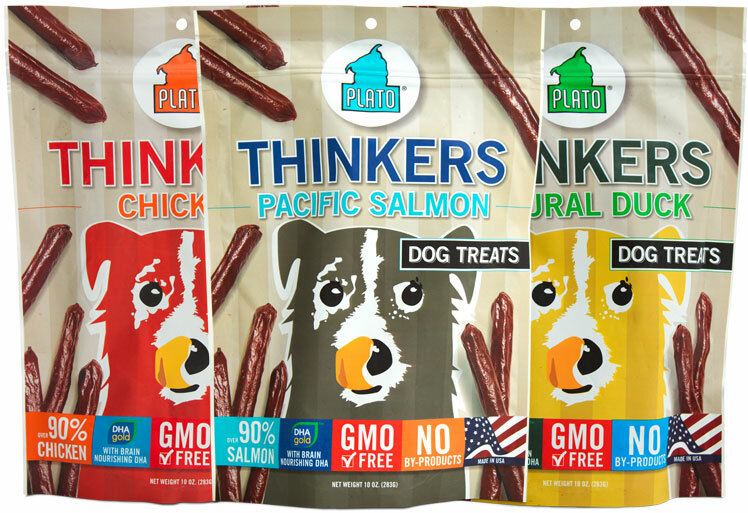 These treats are made from all-natural, organic ingredients, including natural Ginkgo Biloba, designed to nourish your dog’s brain. 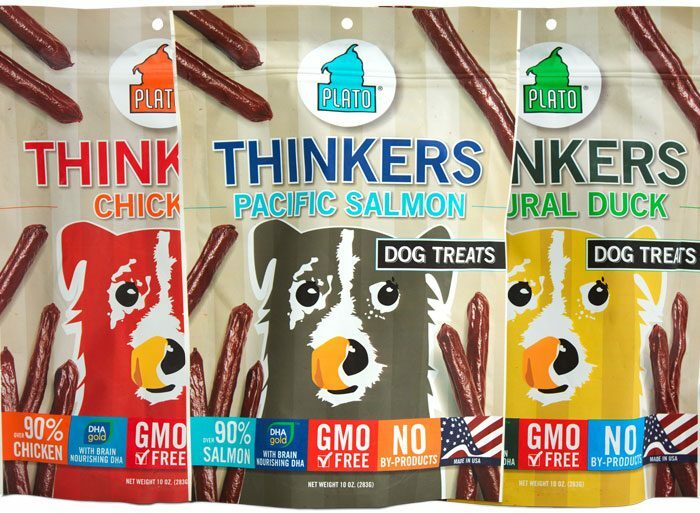 You can rest easy knowing these “smart” treats are free of artificial preservatives, meat by-products and meals. Ingredients: Meat of Choice, Brown Rice, Salt, Zinc Propionate, Mixed Tocopherols, Citric Acid, Rosemary Extract, Vitamin E Supplement, L-Gscorbyl-2Phosphate (A Source of Vitamin C), Ginkgo Biloba, Guar Gum, Garlic, and Collagen Casing.